EY will launch its wavespace brand of innovation centres across the Asia Pacific region starting with Hong Kong, followed by Shanghai, and then Singapore by the fourth quarter of 2018. Channel Asia can reveal that the Singapore centre is expected to be located in the central business district, close to EY’s local office at 1 Raffles Quay. An official launch date is yet to be made public but the centres are expected to be part of EY’s global network of wavespace centres, which the accountancy firm has launched in the US and Europe. Other APAC locations earmarked for these centres include Sydney and Melbourne. 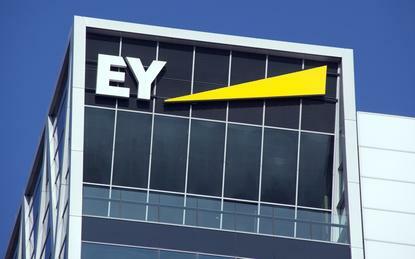 “All these centres will be connected,” said Wai Keat Cheang, head of advisory services at EY Singapore. Launched last year, EY’s wavespace centres are set up to promote a collaborative approach between technologists, business strategists and designers. With distributive technologies coming onto the market at an ever-increasing rate, the business landscape has become increasingly difficult to navigate. Designed to help EY’s clients catch the next ‘wave’ of radical breakthroughs in business transformation, the locations tap into the consultancy firm’s deep expertise and experience. Each centre will have its own area of expertise with the Singapore centre expected to develop expertise in intelligent automation, robotics process automation (RPA), blockchain technology, and various other digital solutions appropriate to the market; however, all locations will share a common methodology and platform. “Organisations face continuous disruption at an increasingly fast pace, so senior business leaders are passionate about driving change to stay competitive,” said Norman Lonergan, global vice chair of advisory services at EY, when speaking at the time of the global launch in March 2017. “Many believe in radical transformation as the path forward to achieve their business objectives, but they don’t necessarily know how to start.